A cost saving 10 pack of Osram G9 Halopin 66733 capsules. 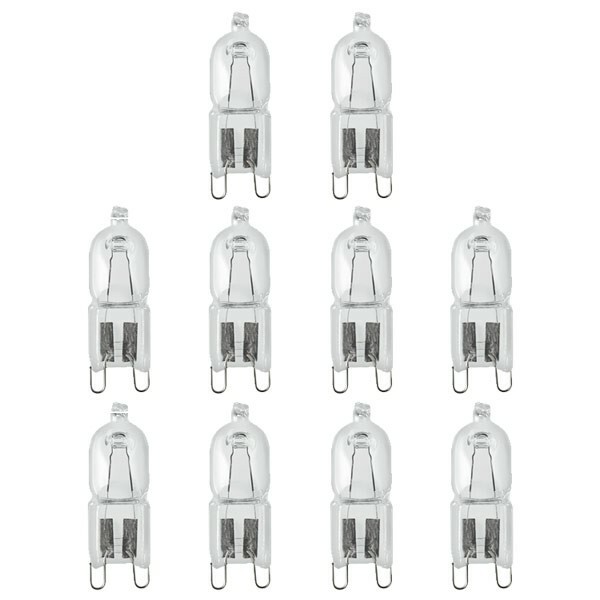 These eco G9 halogen bulbs are fully dimmable and commonly used in main voltage fittings around the home. At only £1.55 per bulb, you save nearly 50% on the cost of buying these bulbs individually.